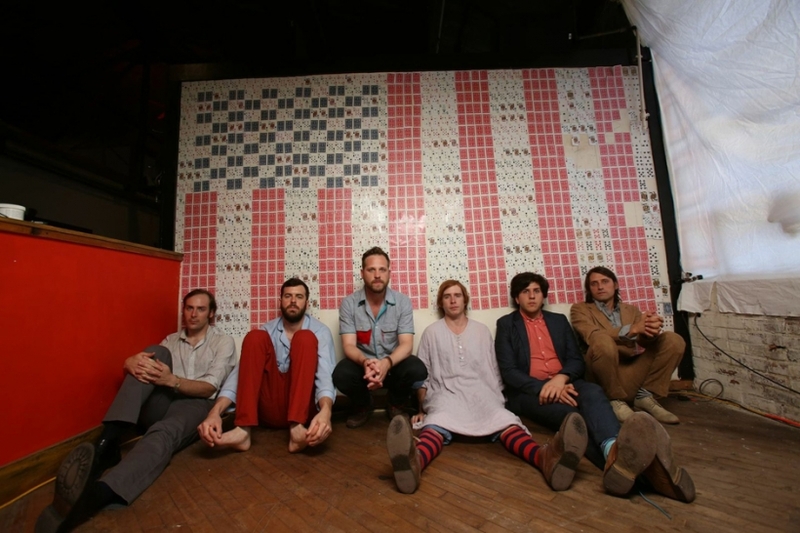 The renowned Philly rock group Dr. Dog debuted their new video via Stereogum.com yesterday. The clip is for the band’s song Distant Light from their latest album B-Room and offers an appropriately psychedelic kaleidoscope of imagery for the track. The video was directed by Aaron Hymes who has previously worked with Broken Bells, Booker T. Jones, Raphael Saadiq among others. The band’s latest powerfully mines and expands upon the surrounding landscape of Philadelphia soul. Captured primarily live in-studio, the rollicking groove and beloved musical interchange which has highlighted the band’s concerts resonates throughout the album. Stereogum.com has premiered a brand new track from Philadelphia band Dr. Dog. The band’s new song, Broken Heart, is an energetic supremely catchy burst of re-imagined soul. It is taken from the group’s upcoming new album B-Room which hits stores October 1. Dr. Dog, renowned for their raucous and transcendent live shows, will be touring North American in support of the new album. The itinerary includes an anticipated September 15 sold out performance at the Red Rock Amphitheater with The Lumineers.